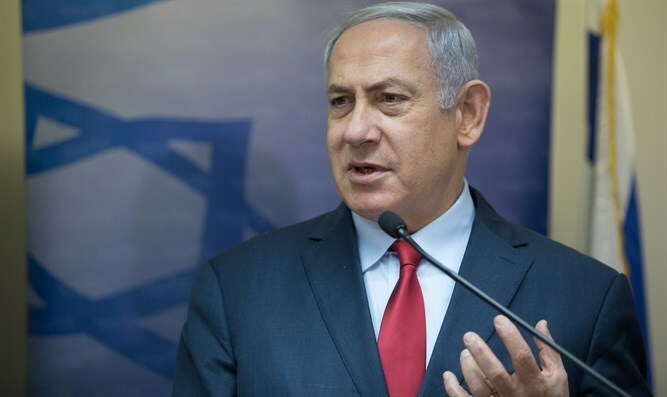 Prime Minister Binyamin Netanyahu responded to Iran's threats to destroy Tel Aviv and Haifa in the event that the US attacks Iran. "I do not ignore the Iranian regime's threats, but I'm not intimidated by them either," Netanyahu said in a video address. "If this regime makes the awful mistake of trying to destroy Tel Aviv and Haifa, it will not succeed. However, this would be the last anniversary of the revolution that they celebrate. They should take this into account." Earlier, a senior IRGC official in Iran said that if the US attacked his country, Iran would hit Tel Aviv and Haifa. "The US does not have the courage to fire one bullet at us, despite all its defensive and offensive defenses," said Yadullah Javani, "but if they attack us, we will wipe Tel Aviv and Haifa off the face of the earth." Javani spoke at a conference marking 40 years since the Islamic revolution in Iran. The crowd chanted "Death to America" ​​and carried flags with the slogan "Death to Israel."